Smithsonian astrophysicist Jeremy Drake explains how the question changed from "if" life will be found elsewhere to "when" and "where"
When Jeremy Drake was beginning his career in the late 1980s, the question of whether or not we are alone in the universe still seemed beyond the realm of science. A lot has changed since Drake, now 49 and a senior astrophysicist at the Harvard-Smithsonian Center for Astrophysics, began studying stars as a doctoral student at Oxford. In the mid-1990s, more advanced telescopes and spectrometers revealed the first planets orbiting distant stars—a discovery that, for the first time, opened up the tantalizing possibility of life elsewhere in the galaxy. Over the years, the number of known planets has exploded to more than 1,700. Just last month, NASA announced that its Kepler space telescope, launched in 2009, had enabled the identification of 715 new planets orbiting 305 stars, including four that are the right size and distance from their stars to support liquid water, and thus life as we know it. While it’s unlikely we’ll be able to examine these planets closely any time soon, scientists are beginning to do the fundamental research that could one day help determine which newly-discovered planets have the greatest chance of hosting extraterrestrial life. And much of that work is now happening at the Smithsonian. In 2012, Drake, whose lab sits on a hill in a quiet corner of Harvard’s campus, organized a conference called “Life in the Cosmos” in Washington, D.C., bringing together Smithsonian scientists from such disparate institutions as the Natural History Museum, the Air and Space Museum and the Smithsonian Tropical Research Institute in Panama. While at first glance an astrophysicist might seem to have little in common with paleontologists or rainforest ecologists, Drake hopes the cross-disciplinary collaborations that arise from this project will help us better understand the origin of life on Earth—and how it might develop elsewhere in the galaxy. What are the chances that there’s life out there? The situation changes so fast. Before 1995, we had no idea—we only had one known solar system. [In 1961] the Drake Equation—different Drake, of course—said, basically, that determining the probability of the number of planets in the galaxy is pure guesswork. Around 1980, we first began to see these things called “dusty disks” around solar-like stars, and bigger and better missions saw these in greater numbers. That brings us to the era of planet detection, starting in the mid 90s. Of course, these first planets were very close to their parent star, gas giants with no chance of harboring life at all. And that’s because those were the easiest ones to detect. But we now realize that there’s a very high probability of more Earth-like planets around stars. There may be other ways to develop life that doesn’t necessarily need planets, but certainly the easiest way is to have some sort of stable environment, like a planetary system that has energy input from a nearby star. So, planets are a good bet. Beakus were commissioned to create three animated films that explain key concepts about our universe, with humour helping to explain the 'almost' unexplainable! Director Amaël Isnard also designed the films. In 'How Big Is The Universe?' ROG astronomer Liz shows us the expanding nature of the Universe and how this affects the light reaching us from distant galaxies, some of which will remain forever hidden from our view. Researchers have created the most detailed simulation of the history of the universe, complete with exploding gas clouds, swirling galaxies, ravenous black holes and countless stars – born to die in violent supernovae that blast the chemical elements for planets and life out into the cosmos. Described as one of the most complex computer models ever created, the simulation was crunched on supercomputers that took six months to complete calculations that would have taken an average desktop computer 2,000 years to process. "We have this problem in astrophysics that we can't go and do experiments in the lab to test our theories," said Mark Vogelsberger at MIT, who worked on the simulation. "The only way to test them is to compare our models with the best observations out there." The computer model simulates the behaviour of dark matter, the invisible material that coalesced in the early universe to form a cosmic web, and dark energy, the mysterious force that drives the expansion of the cosmos. As the universe evolves, the first galaxies form with fledgling suns and supermassive black holes at their centres. Huge expanses of tenuous gas fill the spaces between the galaxies. At first, the only elements are hydrogen and helium. Heavier elements, such as carbon and oxygen, are forged inside stars, before being ejected into space when the stars explode. The simulation models what happens in a volume of space 350m light years across. One light year – the distance light travels in one year – is roughly 10 million million kilometres. The simulation is the first to show both large-scale structures such as the distribution of gas, and small-scale features such as the number and chemical signatures of stars in each galaxy. A paper published in The European Physical Journal H provided the first English translation and an analysis of one of Albert Einstein’s little-known papers, “On the cosmological problem of the general theory of relativity.” Published in 1931, it features a forgotten model of the universe, while refuting Einstein’s own earlier static model of 1917. In this paper, Einstein introduces a cosmic model in which the universe undergoes an expansion followed by a contraction. This interpretation contrasts with the monotonically expanding universe of the widely known Einstein-de Sitter model of 1932. The authors, Cormac O’Raifeartaigh and Brendan McCann from the Waterford Institute of Technology, Ireland, provide insights into Einstein’s view of cosmology. At that time, the first pieces of evidence for an expanding universe emerged, among others, stemming from Hubble’s observations of the expanding universe. Einstein was keen to investigate whether a relativistic model could account for the new observations, by removing the so-called cosmological constant introduced in his 1917 cosmological model. Einstein sets the constant to zero. He then arrives at a model of a universe that first expands and then contracts. This model is also characterised by singularity-like behaviour at either end. In this paper, the authors also discuss Einstein’s view of issues such as the curvature of space and the timespan of the expansion, while also uncovering some anomalies in Einstein’s calculations. For example, they highlight a numerical error in the calculation of the present radius and matter density of the universe. They also believe that Einstein’s estimate of the age of the universe is based on a questionable calculation of Friedmann’s analysis of a relativistic universe of spherical curvature and time-varying radius. Finally, they argue that Einstein’s model is not periodic, contrary to what is often claimed. The image at the top of the page shows Seyfert's Sextet that is actually only four interacting galaxies, though. Near the center of this Hubble Space Telescope picture, the small face-on spiral galaxy lies in the distant background and appears only by chance aligned with the main group. Also, the prominent condensation on the upper left is likely not a separate galaxy at all, but a tidal tail of stars flung out by the galaxies' gravitational interactions. About 190 million light-years away, the interacting galaxies are tightly packed into a region around 100,000 light-years across, comparable to the size of our own Milky Way galaxy, making this one of the densest known galaxy groups. The group may coalesce into a single large galaxy over the next few billion years. How will the universe end - with a bang or with a whimper? According to this video it is very much the latter, but only after all life on Earth has long since disappeared. Host Joe Hanson takes us on a journey from near future to far future, and ultimately shows us how the universe might come to an end. In the video called 'The Far Future of the Universe' he starts with the postulation that most people on Earth alive today won’t be around in 100 years. In a closed universe, gravity will halt the expansion and the universe contracts into a single point, known as the Big Crunch. Finally, in a flat universe, the cosmos continues to expand forever but at a decreasing rate, ultimately reaching the same fate as an open universe. 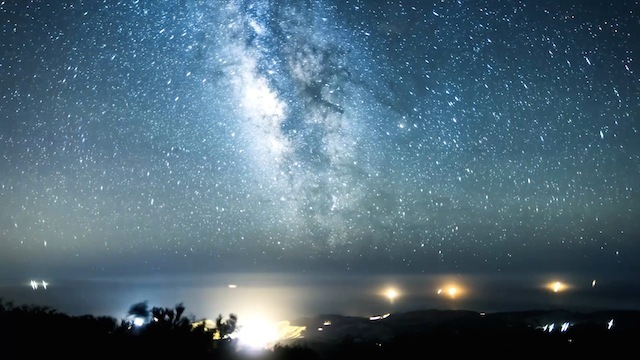 In 100,000 years the position of Earth in the Milky Way will have changed to such a degree that the constellations will look completely different in the night sky. Any time in the next 500,000 years, meanwhile, we can expect Earth to be hit by an asteroid large enough to significantly alter our climate. In 600 million years photosynthesis becomes impossible as too much carbon dioxide gets trapped in Earth's crust. A billion years from today all multicellular life, including us, will be eradicated as the sun boils our oceans and destroys our greenery according to Hanson. ‘We wouldn’t want to be around for what comes next anyway,’ he jokes. Is Our 3-D Universe an Illusion? --"Everything Could Actually be Encoded in Tiny packets in Two Dimensions"
Much like characters on a television show would not know that their seemingly 3 - D world exists only on a 2 - D screen, we could be clueless that our 3 - D space is just an illusion. The information about everything in our universe could actually be encoded in tiny packets in two dimensions. A unique experiment at the U.S. Department of Energy’s Fermi National Accelerator Laboratory called the Holometer has started collecting data that will answer some mind-bending questions about our universe – including whether we live in a hologram. Quantum theory suggests that it is impossible to know both the exact location and the exact speed of subatomic particles. If space comes in 2-D bits with limited information about the precise location of objects, then space itself would fall under the same theory of uncertainty . The same way that matter continues to jiggle (as quantum waves) even when cooled to absolute zero, this digitized space should have built-in vibrations even in its lowest energy state. Essentially, the experiment probes the limits of the universe’s ability to store information. If there are a set number of bits that tell you where something is, it eventually becomes impossible to find more specific information about the location – even in principle. The instrument testing these limits is Fermilab’s Holometer, or holographic interferometer, the most sensitive device ever created to measure the quantum jitter of space itself. “If we find a noise we can’t get rid of, we might be detecting something fundamental about nature–a noise that is intrinsic to spacetime,” said Fermilab physicist Aaron Chou, lead scientist and project manager for the Holometer. “It’s an exciting moment for physics. A positive result will open a whole new avenue of questioning about how space works." In the image at the top of the page, astronomers using the NASA/ESA Hubble Space Telescope have studied a giant filament of dark matter in 3D for the first time. Extending 60 million light-years from one of the most massive galaxy clusters known, the filament is part of the cosmic web that constitutes the large-scale structure of the Universe, and is a leftover of the very first moments after the Big Bang. If the high mass measured for the filament is representative of the rest of the Universe, then these structures may contain more than half of all the mass in the Universe. The Holometer team comprises 21 scientists and students from Fermilab, Massachusetts Institute of Technology, University of Chicago, and University of Michigan. For more information about the experiment, visit holometer.fnal.gov/ . Physicists and others have debated for decades whether or not the universe we perceive is actually an illusion. Some say that, just perhaps, all that humans perceive is a hologram, or a three-dimensional hallucination from a two-dimensional existence. A parallel could be a lenticular postcard. Such two-dimensional prints have a layer of plastic, vertical stripes (or lenses) over them that create a holographic illusion to the human eye that the printed image is actually three-dimensional. This generally parallels what some scientists speculate could be the basic nature of our world, a two-dimensional surface projecting a three-dimensional illusion. Inferometers are instruments used widely in industry and science to measure small displacements. The Holometer is constructed of two such devices that each fire a one-kilowatt laser at a beam splitter, and then, after traveling down two 130-foot perpendicular ramps, reflects the beams back to the splitter for recombination. If it is recorded that the splitter has moved slightly, it would be due to a shakiness in the space-time continuum. Such shakiness could be evidential of a holographic universe. If such positive results are recorded, they could be evidence of the higher dimensions (sixth or seventh) string theorists talk about. Such higher dimensions will also be sought next year when the Large Hadron Collider in Europe is fired up again. Traditionally, our universe has been seen as having four dimensions: three spatial dimensions with time being the fourth. 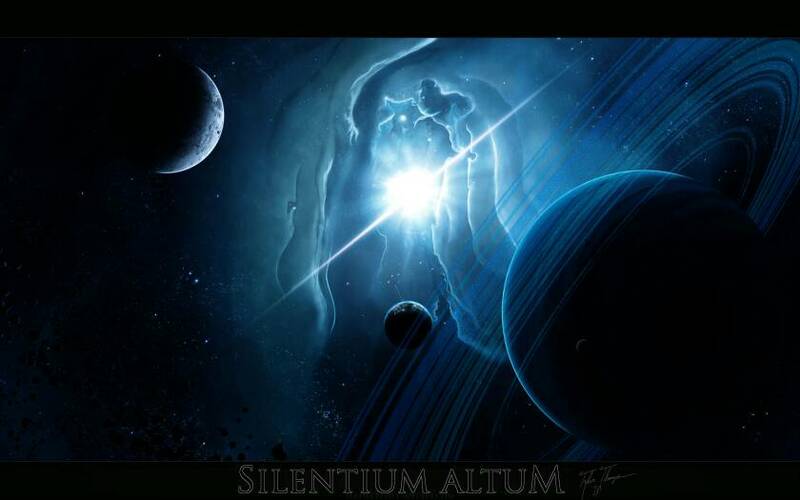 Are we alone in this huge and planet-filled universe? An image of the newly discovered planets Kepler-62e and -f, which are the right orbit and size for potential life. Fermi suggested that in a galaxy with innumerable stars that are billions of years older than our sun, there surely must be some planets that have, or have had, conditions suitable for the development of intelligent life. Even if these civilizations had no more advanced technology than ours, some signal of their existence should have been spotted. 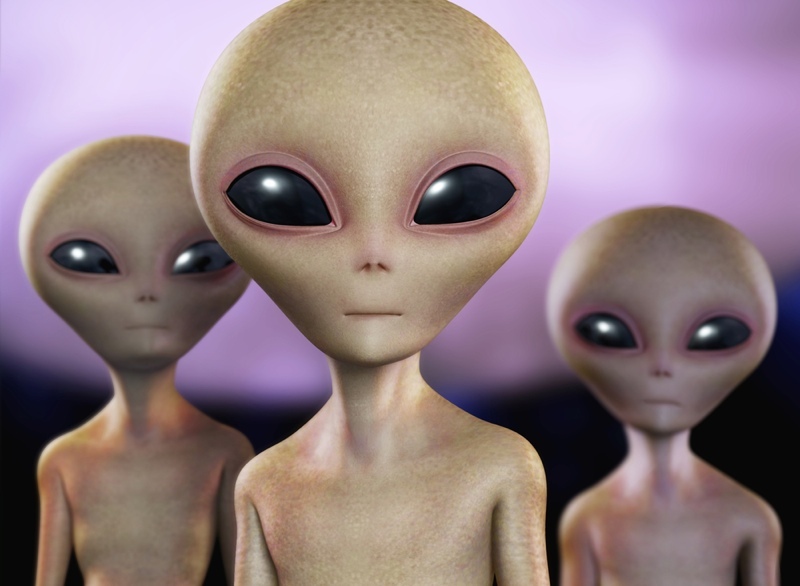 None has, and so we have the “Fermi paradox.” Of course there are claims that not only have we been visited by aliens, we have even interacted with them, apparently not always in an amiable fashion. But there is no convincing evidence of such encounters. A decade after Fermi voiced his “paradox,” astrophysicist Frank Drake formulated an equation that attempted to evaluate the numerous probabilities of the existence of alien life. However, the factors involved are speculative and the equation does no more than “organize our igannance,” as Drake himself stated. I’ve long been fascinated by this “igannance.” I think I was first turned onto the idea of “aliens” back around 1957 with one of the first television shows I remember watching. Rocky Jones, Space Ranger was a kind of space policeman who would blast off from Earth and travel to other heavenly bodies where wicked aliens needed to be taken care of. There was no explanation as to where these worlds were, or how it was that the aliens always spoke English. I think the only concession to science was that Rocky’s spaceship looked like a German V-2 rocket, which was also the prototype for the Redstone rocket that allowed Alan Shepard to become the first American in space in 1961. By that time I was hooked on space travel and was riveted to the TV set as Shepard was launched into his suborbital flight. People have wrestled with the mystery of why the universe exists for thousands of years. Pretty much every ancient culture came up with its own creation story - most of them leaving the matter in the hands of the gods - and philosophers have written reams on the subject. But science has had little to say about this ultimate question. Their admittedly controversial answer is that the entire universe, from the fireball of the Big Bang to the star-studded cosmos we now inhabit, popped into existence from nothing at all. It had to happen, they say, because "nothing" is inherently unstable. This idea may sound bizarre, or just another fanciful creation story. But the physicists argue that it follows naturally from science's two most powerful and successful theories: quantum mechanics and general relativity. 'Cosmic Web' of the Universe --"Reveals an Enormous Non-Random Network of Galaxies"
The distribution of galaxies and matter in the universe is non-random. Galaxies are organized, even today, in a manner resembling an enormous network - the cosmic web. This web has dense regions made up of galaxy clusters and groups, sparsely populated regions devoid of galaxies, as well as the filaments that link overdense regions. 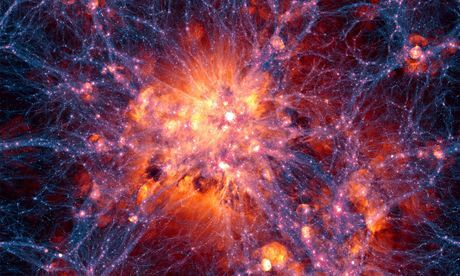 "We think the cosmic web, dominated by dark matter, formed very early in the history of the universe, starting with small initial fluctuations in the primordial universe," said Behnam Darvish, at the Department of Physics and Astronomy at UC Riverside. "Such a 'skeletal' universe must have played, in principle, a role in galaxy formation and evolution, but this was incredibly hard to study and understand until recently." The researchers highlight the role of the "cosmic web" - a large-scale web-like structure comprised of galaxies - on the evolution of galaxies that took place in the distant universe, a few billion years after the Big Bang. In their paper, published Nov. 20 in the Astrophysical Journal, they present observations showing that thread-like "filaments" in the cosmic web played an important role in this evolution. "The filaments are like bridges connecting the denser regions in the cosmic web," Darvish explained. "Imagine threads woven into the web." "But the role of intermediate environments and, in particular, the role of filaments and the cosmic web in the early universe remained, until very recently, a mystery," said coauthor Bahram Mobasher, a professor of physics and astronomy at UCR and Darvish's adviser. What greatly assisted the researchers is a giant section of the cosmic web first revealed in two big cosmological surveys (COSMOS and HiZELS). They proceeded to explore data also from several telescopes (Hubble, VLT, UKIRT and Subaru). They then applied a new computational method to identify the filaments, which, in turn, helped them study the role of the cosmic web. "It is possible that such filaments 'pre-process' galaxies, accelerating their evolution while also funneling them towards clusters, where they are fully processed by the dense environment of clusters and likely end up as dead galaxies," Darvish said. "Our results also show that such enhancement/acceleration is likely due to galaxy-galaxy interactions in the filaments." Because of the complexities involved in quantifying the cosmic web, astronomers usually limit the study of the cosmic web to numerical simulations and observations in our local universe. However, in this new study, the researchers focused their work on the distant universe - when the universe was approximately half its present age. Cosmic Glow Discovered --"Radiates More Light than All the Known Galaxies in the Universe"
Using an experiment carried into space on a NASA suborbital rocket, astronomers at Caltech and their colleagues have detected a diffuse cosmic glow that appears to represent more light than that produced by known galaxies in the universe. Initially some researchers proposed that this light came from the very first galaxies to form and ignite stars after the Big Bang. CalTech researchers say that the best explanation is that the cosmic light originates from stars that were stripped away from their parent galaxies and flung out into space as those galaxies collided and merged with other galaxies. The discovery suggests that many such previously undetected stars permeate what had been thought to be dark spaces between galaxies, forming an interconnected sea of stars. "Measuring such large fluctuations surprised us, but we carried out many tests to show the results are reliable," says CalTech Fellow Michael Zemcov, who led the study. In earlier studies, NASA's Spitzer Space Telescope, which sees the universe at longer wavelengths, had observed a splotchy pattern of infrared light called the cosmic infrared background. The splotches are much bigger than individual galaxies. "We are measuring structures that are grand on a cosmic scale," says Zemcov, "and these sizes are associated with galaxies bunching together on a large-scale pattern." If anyone understands this, you are a smarter human than I. Who hasn't looked up at the star-studded night sky and wondered, "Where did everything come from?" There are many ways to address this question. It was Edwin Hubble whose telescopic observations of galaxies in 1929 led to the major discovery that the universe is expanding, and that the rate of expansion is proportional to how far the galaxies are from one another. The farther apart they are, they faster they are going. This result implies there was a time about 13.75 billion years ago when the universe began in an event we now call the Big Bang. The evidence suggests the Big Bang was something mind-blowing in its scale, described in the theory of inflation, first presented by Alan Guth in 1979 and elaborated upon in his book "The Inflationary Universe" (Perseus Books, 1997). Guth suggests the entire universe came essentially out of nowhere, at a rate that is incomprehensible: Within a trillionth of a trillionth of a trillionth of a second, the universe expanded by a factor of 1078 in volume — that's a 10 with 78 zeros after it. We really have no idea how this happened, which naturally gives rise to many theories. The cyclic universe theory is an attempt to try and understand how the Big Bang could have occurred. Put forth by Albert Einstein in 1931, the theory suggests that prior to the Big Bang, there was another universe that existed. This universe expanded, then contracted into what is called a "big crunch," and its contraction led to the Big Bang that created our universe. According to that theory, our universe could do the same thing. In fact, there could have been a whole sequence of such universes, expanding and contracting, perhaps going on forever. But how does one universe transition to another? For the last two years, I have been trying to answer that question from a rigorous mathematical perspective. I apply mathematical techniques from the field of regularization theory within the field of celestial mechanics, and try and see if a cyclic universe is even mathematically possible. This is done by showing that the equations defining the Big Bang can be rewritten so as to make sense at the moment of the Big Bang. This is necessary, since the equations defining the evolution of the universe after the Big Bang, called the Friedmann equations, break down at the Big Bang itself and make no sense. If we use the symbol "t" for time, then let's assume the Big Bang occurs at t=0, so that relative to us, the Big Bang occurred t=13.75 billion years ago. The Friedmann equations are defined for t greater than 0, or t less than zero, but when t=0, these equations run into trouble. This is because the Hubble variable has the value of infinity at t=0. This follows since that variable is proportional to how fast the universe expands, which is infinite at t=0, meaning that mathematically, expansion makes no sense and would not even be defined at the Big Bang. The way to make the Big Bang understandable is to first slow down time near the Big Bang, since the universe initially expands extremely fast for t greater than zero. This is done by using a new time variable that is scaled to change much more slowly right after the Big Bang, when inflation is occurring. We'll label that new time variable N to distinguish it from the original time t. We also need to replace the Hubble variable with a new parameter that does not have an infinite value at the Big Bang, and instead will have a real numerical value there. That new value is called the "scaled Hubble variable" and it has a value of 0 at the Big Bang. The Big Bang makes sense in terms of the scaled Hubble variable and the new time, N.
To understand if our universe could have resulted from a previous one that crunched down, we need to see how the time values would change: If t is greater than 0, then we are in our universe, and if t is less than 0 then we would be in a previous universe. To mathematically justify a transition from one universe to another, we need to use a key parameter called the "Hubble scale factor" that measures how far, in distance, all the points of the universe are from one another. As you go back to the Big Bang, this distance approaches 0. This is seen by picking an arbitrary point in the universe, and from that point, the distance to each galaxy or any other location can be written as a relative distance, depending on the location, multiplied by a scale factor, "a" the Hubble scale factor. As the universe expands or contracts uniformly in all directions, which we are assuming, then the single parameter a controls this. Therefore, a can be viewed as a uniform scale for the universe. This distance is 0 when t=0 since that is where the Big Bang starts. Right now, in our present space-time, astrophysicists give the Hubble scale factor a value of 1. In 2013, I published the first paper on using regularization to show that one universe can transition to another, having obtained an interesting and unexpected result. That study showed one universe can transition to another, provided the equation of state is equal to values that result from special prime number conditions. A prime number is a positive integer that is divisible only by one and itself, such as 1, 3, 5, 7, 11, 13 and so on. The conditions described in the paper specify certain pairs of integer numbers that are "relatively prime" — that is, there is no integer greater than 1 that divides them both. Relatively prime numbers need not be prime: For example, 7 and 8 are relatively prime and 8 is not a prime number. Remembering that the equation of state, labeled w, is the ratio of the pressure and density of the universe, then the density of the universe means basically the energy density, which is composed of the energy that is in the universe from matter and radiation. As the universe expands, density goes down since it needs to fill up a bigger space. The pressure value is a measure of a force acting on a given area, like a push. For example, radiation can cause such a pressure. When, for example, w is less than -1/3, this means that the universe has an accelerated expansion. The universe today has a w near -1 called the cosmological constant. When w is 0, that corresponds to a universe with only matter, while w=-1/3 corresponds to a universe with radiation and w=1 corresponds to a universe with anisotropy. Under the conditions described in the 2013 paper, w can only take values calculated from special relative prime numbers at or near the Big Bang, and that forces a huge restriction on w. Those conditions are based on integer numbers, since relatively prime numbers are integers, and are therefore very rare in the continuum of all numbers, where most numbers are actually not nice, clean integers, but irrational, like pi or the square root of 2. Integer numbers are also discrete — that is, groups of them don't form a smooth continuum. In the real world, such a condition may not make sense when one gets very close to the Big Bang. That is because when a is very near to 0 as the universe crunches down, a will get so small so that it is less than the Planck distance, where the laws of physics are no longer valid. In that region, the laws of quantum mechanics may dominate, yielding quantum fluctuations. These yield the variations of energy at a point in space due to Werner Heisenberg's uncertainty principle. If this occurs, then the relevance of the relative prime values of w may be lost, since the uncertainties of the energy would drown them out, something that modern theories would not be able to explain. This result obtained in 2013 gave rise to "unique" transitions from one universe to another. As the universe crunched down and a approached 0 as t approached 0, when a=0 for t=0, there was only one unique transition, giving a unique universe for t greater than zero for each of these special discrete values of w. There could not be two or more transitions for each discrete w. Only one universe could result. This uniqueness could be lost due to quantum fluctuations near the Big Bang. This is because the uncertainties in the energy may not be able to distinguish between different relative prime number states for w.
When w=1, it yields results that are much different than values that result when w is greater than 1. This is surprising in the following sense: Since w=1 can be reached from the case we had done for w greater than 1 as a limiting case, then as w gets closer and closer to 1, I expected w=1 to yield similar results as those for w greater than 1. That is, a unique transition from one universe to another, or no transition at all. It turns out that such a situation yields infinitely many different transitions, where each one is another universe. On the other hand, it wasn't surprising since BingKan and I could not study that case with the methods that were used for w greater than 1, since a certain key term in the Friedmann equations vanished. This term depended on the value of w and was not 0 when w was greater than 1. But when w=1, this term became 0 and then vanished from the equation. I realized that another mathematical methodology was needed, one that would result in non-unique extensions due to the vanishing of this term. This is because when this term was non-zero, for w greater than 1, a special mathematical theorem could be applied, called the stable manifold theorem. This yields unique extensions. When w=1 another mathematical theorem needs to be considered, called the center manifold theorem. This theorem yields non-unique extensions. As a result, I found that the extension of a universe for t less than zero gave rise to infinitely many universes for t greater than zero. There seems to be no way to distinguish one from the other. The uniqueness was gone. However, of more interest, a new time variable was discovered at the Big Bang itself at t=0. I called the new variable, t-prime. At t=0, t-prime varies between plus and minus infinity. While t-prime is varying, then the Hubble factor, a and w are also varying. When t-prime starts from minus infinity, then w=-1 and a is plus infinity. This state corresponds to a universe that is infinitely large and where the equation of state corresponds to the cosmological constant representing pure expansion by dark energy. As t-prime approaches plus infinity, then a approaches 0, corresponding to where the universe has contracted to a singularity at the Big Bang, and w approaches 1, corresponding to a universe with anisotropy, or nonuniformity. Then when t-prime equals plus infinity, this corresponds to t=0 and a=0 and then the Big Bang occurs at w=1. While t-prime varies between plus and minus infinity, the Hubble variable has the value of plus infinity, meaning that the universe has infinite density, a strange state I call the extended Big Bang. It turns out that when the Big Bang occurs and t is greater than 0, then t-prime is also defined as well. This means that t-prime could be used as a time scale instead of the usual time, t. There is a mathematical relationship between these two time scales. At our epoch, they are essentially the same, but as one gets near to the Big Bang, they are much different. This new hidden time then becomes an alternate time. The introduction of this time variable was done for mathematical purposes as described earlier, to find a slower time scale near the Big Bang. Its interpretation as being another time scale is convenient mathematically, but its physical relevance needs to be further studied. This thread caused me to have an existential crisis. ! Robert Lawrence Kuhn is the creator, writer and host of "Closer to Truth," a public television and multimedia program that features the world's leading thinkers exploring humanity's deepest questions. Kuhn is co-editor, with John Leslie, of "The Mystery of Existence: Why Is There Anything at All?" (Wiley-Blackwell, 2013). This article is based on a "Closer to Truth" episode produced and directed by Peter Getzels. Kuhn contributed this article to Space.com's Expert Voices: Op-Ed & Insights. But speaking with scientists and philosophers on "Closer to Truth," I realized that the notion that everything humans see and know is a gigantic computer game of sorts, the creation of supersmart hackers existing somewhere else, is not a joke. Exploring a "whole-world simulation," I discovered, is a deep probe of reality. David Brin, sci-fi writer and space scientist, relates the Chinese parable of an emperor dreaming that he was a butterfly dreaming that he was an emperor. In contemporary versions, Brin said, it may be the year 2050 and people are living in a computer simulation of what life was like in the early 21st century — or it may be billions of years from now, and people are in a simulation of what primitive planets and people were once like. Philosopher Nick Bostrom, director of the Future of Humanity Institute at Oxford University, describes a fake universe as a "richly detailed software simulation of people, including their historical predecessors, by a very technologically advanced civilization." It’s called the Holometer (short for “Holographic Interferometer”), and it’s the brainchild of Fermilab physicist Craig Hogan. He dreamed up the idea in 2009 as a way to test the so-called holographic principle. Back in the 1970s, a physicist named Jacob Bekenstein showed that the information about a black hole’s interior is encoded on its two-dimensional surface area (the “boundary”) rather than within its three-dimensional volume (the “bulk”). Twenty years later, Leonard Susskind and Gerard ‘t Hooft extended this notion to the entire universe, likening it to a hologram: our three-dimensional universe in all its glory emerges from a two-dimensional “source code.” New York Times reporter Dennis Overbye has likened the holographic concept to a can of soup. All the “stuff” of the universe, including human beings, makes up the “soup” inside the can, but all the information describing that stuff is inscribed on the label on the outside boundary. Susskind initially considered it to be a metaphor, but then crunched some more numbers and concluded that the notion made literal sense as well: the 3D universe really is a projection of 2D information at the boundary. The Holometer uses a pair of laser interferometers placed close to one another, each sending a 1-kilowatt beam of light through a beam splitter and down two perpendicular arms, 40 meters each. The light is then reflected back into the beam splitter where the two beams recombine. If no motion has occurred, then the recombined beam will be the same as the original beam. But if fluctuations in brightness are observed, researchers will then analyze these fluctuations to see if the splitter is moving in a certain way, being carried along on a jitter of space itself. It’s an extremely difficult thing to detect, because there are so many other things that could be mistaken for a jittery signal, including wind and traffic noise. The early signs weren’t promising when the first preliminary results (based on an hour or so of data) came in back in April. So it’s probably not all that surprising that the final analysis proved equally fruitless. Susskind, Leonard. (1995) “The World as a Hologram,” Journal of Mathematical Physics 36 (11): 6377–6396. "It's as if you're in a big, brightly-lit room, but you look around and see only a few 40-watt light bulbs," noted Carnegie Institute's Juna Kollmeier. "Where is all that light coming from? It's missing from our census." "The most exciting possibility is that the missing photons are coming from some exotic new source, not galaxies or quasars at all," said Neal Katz of the University of Massachusetts at Amherst. For example, the mysterious dark matter, which holds galaxies together but has never been seen directly, could itself decay and ultimately be responsible for this extra light. You know it's a crisis when you start seriously talking about decaying dark matter!" "The great thing about a 400% discrepancy is that you know something is really wrong," commented co-author David Weinberg of The Ohio State University. "We still don't know for sure what it is, but at least one thing we thought we knew about the present day universe isn't true." Strangely, this mismatch only appears in the nearby, relatively well-studied cosmos. When telescopes focus on galaxies billions of light years away (and therefore are viewing the universe billions of years in its past), everything seems to add up. The fact that this accounting works in the early universe but falls apart locally has scientists puzzled. The light in question consists of highly energetic ultraviolet photons that are able to convert electrically neutral hydrogen atoms into electrically charged ions. The two known sources for such ionizing photons are quasars—powered by hot gas falling onto supermassive black holes over a million times the mass of the sun—and the hottest young stars. Observations indicate that the ionizing photons from young stars are almost always absorbed by gas in their host galaxy, so they never escape to affect intergalactic hydrogen. But the number of known quasars is far lower than needed to produce the required light. "Either our accounting of the light from galaxies and quasars is very far off, or there's some other major source of ionizing photons that we've never recognized," Kollmeier said. "We are calling this missing light the photon underproduction crisis. But it's the astronomers who are in crisis—somehow or other, the universe is getting along just fine." The mismatch emerged from comparing supercomputer simulations of intergalactic gas to the most recent analysis of observations from Hubble Space Telescope's Cosmic Origins Spectrograph. "The simulations fit the data beautifully in the early universe, and they fit the local data beautifully if we're allowed to assume that this extra light is really there," explained Ben Oppenheimer a co-author from the University of Colorado. "It's possible the simulations do not reflect reality, which by itself would be a surprise, because intergalactic hydrogen is the component of the Universe that we think we understand the best." The image at the top of the page shows a type Ia supernovae that are brighter than whole galaxies and visible billions of light-years away. The Supernova Cosmology Project devised ways of finding Type Ia supernovae “on demand,” then measured the expansion of the universe with a precision that led to the discovery of dark energy. Found this letter from my old physics prof. I was curious if it was possible that light in fact is stationary relative to the universe. To me, this would amswer alot of problems with how light works, but his answer sums it up well. Light is breaking the laws of relativity, and is definitely something that we don't understand. 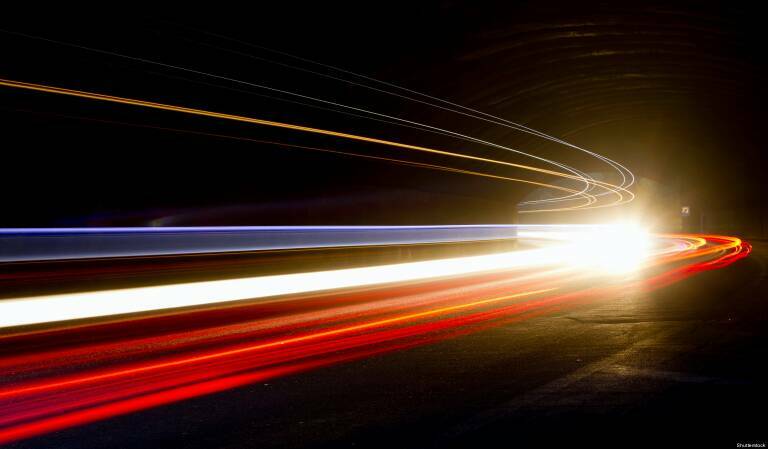 Is light actually stationary relative to the universe?
" That is one brain shaker of a question. I really applaud your question, because the kind of thinking you're doing right now (trying to make sense of the new stuff you learn by combining it with the stuff you already know) is how we’re going to eventually get a unified theory of physics. The biggest problem with all of this is that we (as a species) may not be intelligent enough to comprehend this all. I know I’m not. So we’re going to be ice-skating uphill on this one. Anyway, since light is traveling at the speed of light (300,000,000 m/s) it should have absolute time dilation, and length contraction. So a beam of light should be traveling at zero speed, and either it has no length, or worse yet, the distance it is traveling is zero and it’s in both places at once. So IF light is affected by relativity, it doesn’t move at all, and it's everywhere at once. That doesn't make ANY sense, because I know there's no light under the basement stairs, and I'm scared of the dark in there. So the conclusion must be that light does not follow relativism. There's two oft used reasons for this: 1) Light has no mass, and only objects with mass are affected by relativism, and 2) Because it has to. Seriously, at a certain point, relativistic concepts don’t work any more. We go back to standard Newtonian model, where things are where they appear to be and your watch says exactly what mine does, no matter where or how fast you’re moving. As far as we’re concerned, light behaves according to standard non-relative motion. It doesn’t travel "instantaneously", but rather it travels so quickly (again, 300,000,000 m/s) that we cannot perceive or see the time pass between events. Once we accept that, we’re off the hook from entanglement and space-time disturbances. That last part of your question is basically a different question entirely.String Theory basically states that if we consider sub-sub-sub-atomic particles as strings instead of particles, then we can account for both quantum and relativistic theories. Most people, myself included, have problems with quantum theory and relativistic theory, so a theory that handles both is quite a mental challenge. The authority on the matter, bob Greene, explains it very well in the PBS series, which is free to view. The Event Horizon is the border past which things are unable to escape the gravitational pull from a black hole. Weird physics takes place at and beyond this border, including relativistic effects on light (Hey! We just said that wouldn’t happen!) and light that can be considered "standing still". Dark Matter is an idea that some astronomers use to explain the gravitational forces that we see in fast moving galaxy clusters. The mass that we can detect cannot possibly account for the forces that are present that hold those galaxies together. Therefore, there must be mass that is completely un-detectable by us. This mass is NOT black holes. We can detect black holes because they produce radiation, so dark matter and black holes sound similar, but they are unrelated. The concept of dark matter is still under debate. Lastly, the universe is eitherexpanding or contracting, and while we’re not sure which, practically everyone agrees that it's doing one or the other. Whew. That’s a lot of geek speak. As far as we know, strings and black holes are not related to each other, so strings are not a mathematical description of event horizons. Neither strings not black holes help to explain dark matter. It is worth mentioning that a lot of these ideas are just working models. They’ll work in some instances, not in others, but for all intents and purposes, they will explain what happens in the real world. Within your lifetime, we will probably come up with ideas that will make the “truths” that you learn in science class seem like flat earth stuff. That doesn’t get mentioned nearly enough to students. Lastly, Heisenberg is driving along and gets pulled over by a police officer. The officer asks, "Do you know how fast you were going?" and Heisenberg replies, "No, but I can tell you where I am." Well doc, not really. Sure did give me alot to chew on at night before bed though. Sure glad I saved all my essays, pictures, etc. from all my old hard drives. Sifting through some of the stuff in my freetime this week, and will post anything interesting. "Think of it this way: Before our result, you’d be considered a pessimist if you imagined the probability of evolving a civilization on a habitable planet was, say, one in a trillion," Frank said in a statement. "But even that guess — one chance in a trillion — implies that what has happened here on Earth with humanity has in fact happened about 10 billion other times over cosmic history." Renowned physicist and cosmologist Neil Turok of the Perimeter Institute discusses how this simplicity at the largest and tiniest scales of the universe is pointing toward new avenues of physics research and could lead to revolutionary advances in technology.